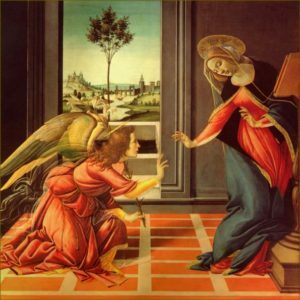 According to this tradition, the date of the Annunciation coincided with a number of significant events in salvation history. March 25 was not only the day on which Christ was conceived in Our Lady’s womb; it was also the day of the creation of the world, the day Adam and Eve fell, the day Abraham (nearly) sacrificed his son Isaac, the day the Israelites were set free from Egypt, and the day of the crucifixion. In the Roman Martyrology, both the Annunciation and the feast of the Good Thief are assigned to March 25. 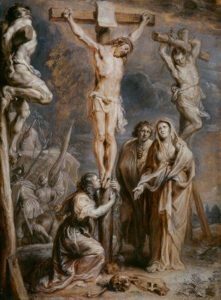 Feast days for saints are usually assigned on the day of death, the day of the Good Thief’s crucifixion. Because that is the solemn feast of the Annunciation, the Good Thief’s feast day is never observed — one might say that it is “stolen” from him every year. In the third chapter of the Gospel, Luke gives his version of Jesus’ genealogy, which begins with Jesus and works its way backward through His ancestors. 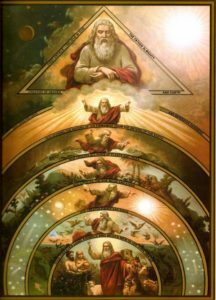 This genealogy ends with the words “the son of Adam, the son of God.” In calling Jesus the “Son of God,” then, Luke is not only pointing to Christ’s relationship with the Father; he is also portraying Christ as the New Adam. 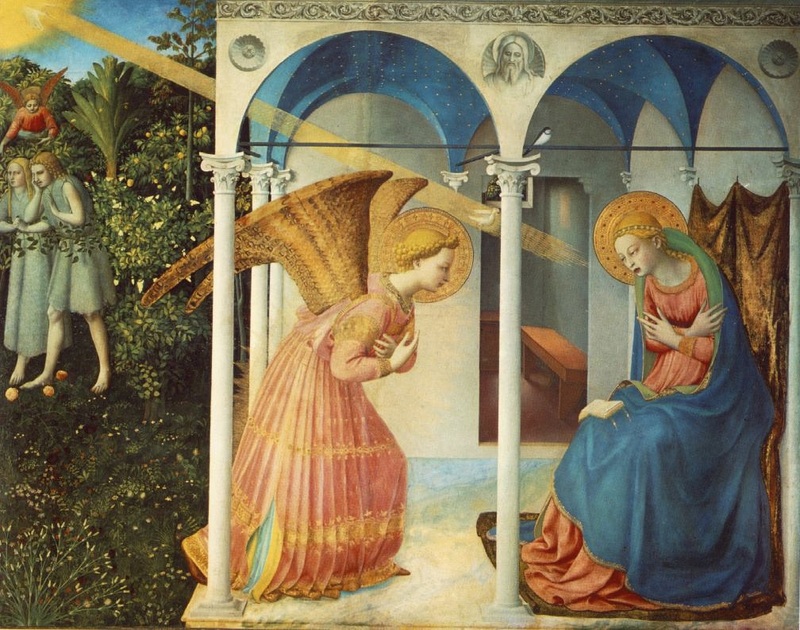 This traditional interpretation of the Annunciation as a reversal of the Fall also found its way into the arts. Many of Blessed Fra Angelico’s paintings of the Annunciation, for example, include a depiction of Adam and Eve being driven from the Garden, reminding us of the plight to which the incarnation is the solution. Around AD 202 Hippolytus held that the Lord was born in the forty-second year of the reign of Augustus and that he was born in 5500AM. In his Commentary on Daniel he did not need to establish the precise year of the Lord’s birth; he is not concerned about the day of the week, the month-date, or even the year; it was sufficient for his purpose to show that Christ was born in the days of Augustus in 5500 AM.